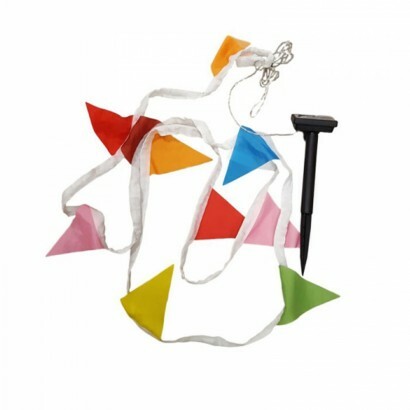 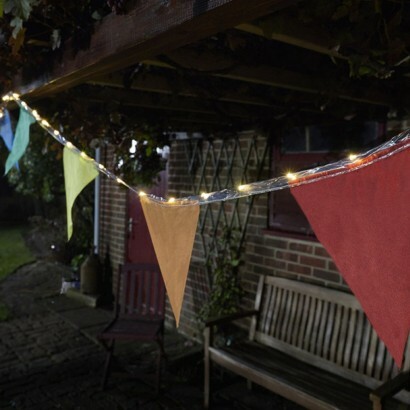 Crack out the bunting and celebrate the summer with colourful flags lit by warm white LEDs! 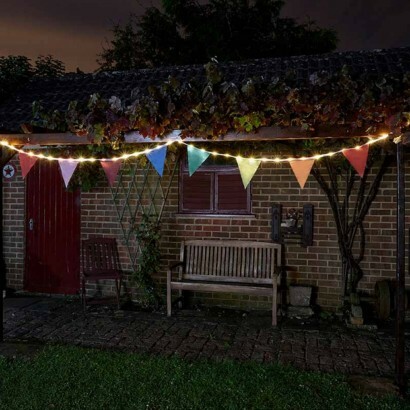 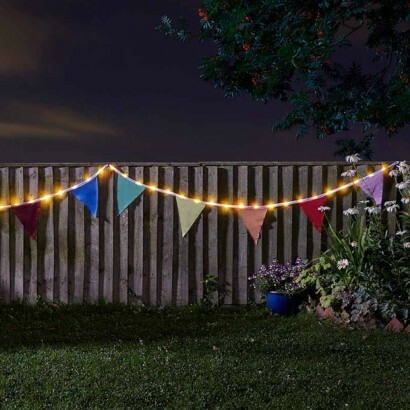 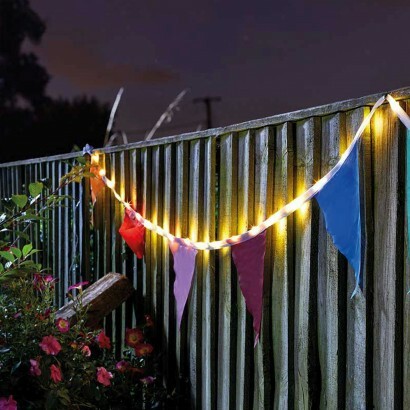 Perfect for parties and celebrations, or simply to add a playful carnival feel to your garden, this bunting is lit by warm white LEDs for extra sparkle, and solar powered, all you need to do is place it and enjoy! 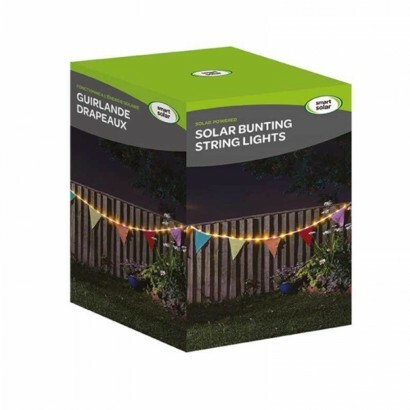 With 39 LEDs running over 4m of illumination, there's plenty of light to add a touch of magic to fences, trellises and bushes in your garden, and with over 2m of lead from the solar panel to the first light, you can brighten up even the darkest areas of your garden whilst the solar panel remains in the light.